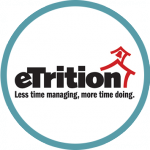 Harris School Solutions is pleased to announce that La Habra City Schools is upgrading their legacy software to eTrition SaaS. La Habra City Schools is located in La Habra, California. They have 9 sites and serve over 5,000 students. We look forward to working with La Habra in the implementation of eTrition SaaS, and EZMealApp.com for online Reduced Meal applications. With the implementation of both programs, La Habra will be able to run their program more efficiently, saving them both time & money.